Brother Coyote Sister Fox Opening Weekend! Join the Center for Puppetry Arts and Lingual Kids as we celebrate the opening of Brother Coyote Sister Fox with bilingual games and activities! Test your Spanish skills with object and word matching games. Pin la Pluma on el Pollo! Share your experience with our photo booth with fun props inspired by the show. 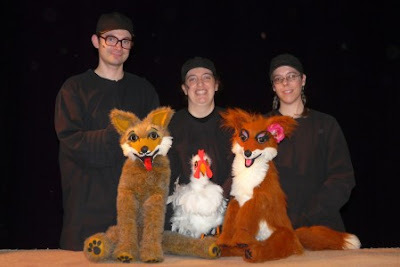 Enjoy Brother Coyote Sister Fox presented by Thistle Theatre, as well as our wonderful museum exhibits and the Create-A-Puppet Workshop where you can build your very own Cool Coyote Hand Puppet to take home! Learn more about how Lingual Kids can give your child a head start with foreign languages at www.lingualkids.com.